Brown Paper Packages are a Few of my Favorite Things! - The Resourceful Room! Brown Paper Packages are a Few of my Favorite Things! I love getting packages! Anyone else??? Christmas is the best time to find a package on your door step when you get home! Especially a week before Christmas when your still in school trying to survive all the way till 3:00 on the 21st!! It's my Holly Bloggy Exchange gift and I just can not wait to see what's inside!! Check back on Christmas day to see what another generous blogger sent me!! I got another package from a blogging friend a couple of weeks again, we participated in the Advent Calendar Swap with Mrs. V's Busy Bees! I love advent calendars, counting down the days, is that a teacher thing, or just me??? Anyway I got this lovely gift from Lauren at Teach*Pray*Love! It's an advent cake! Each "slice" is removed as you count down the days til Christmas!! 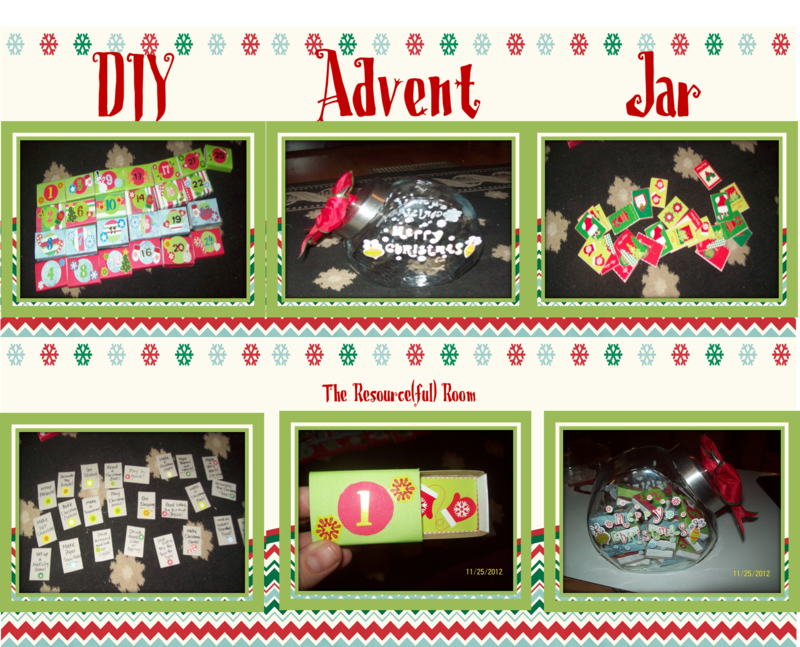 You can put little bible verses, or activities inside each one! My kids and I had fun figuring out how to put it all together, seems pretty simple but we tried a few different configurations!! We've been counting down the days - only 8 more to go!! I used a candy jar from Walmart and match boxes from the Dollar Tree, decorated each box with paper and stickers, then added little notes with different activities inside each - the little cards are gift tags I also picked up at Dollar Tree. I decorated the jar with a ribbon on top and stickers on the sides! I really loved how it turned out and she said she did too! It was really fun making this and sending it away!! I love Christmas! Thank you so much to Lauren for creating something amazing for me and for Mrs. V for hosting another fun exchange! I hope your all having a wonderful Monday, and a super speedy week as we look forward to some time off!